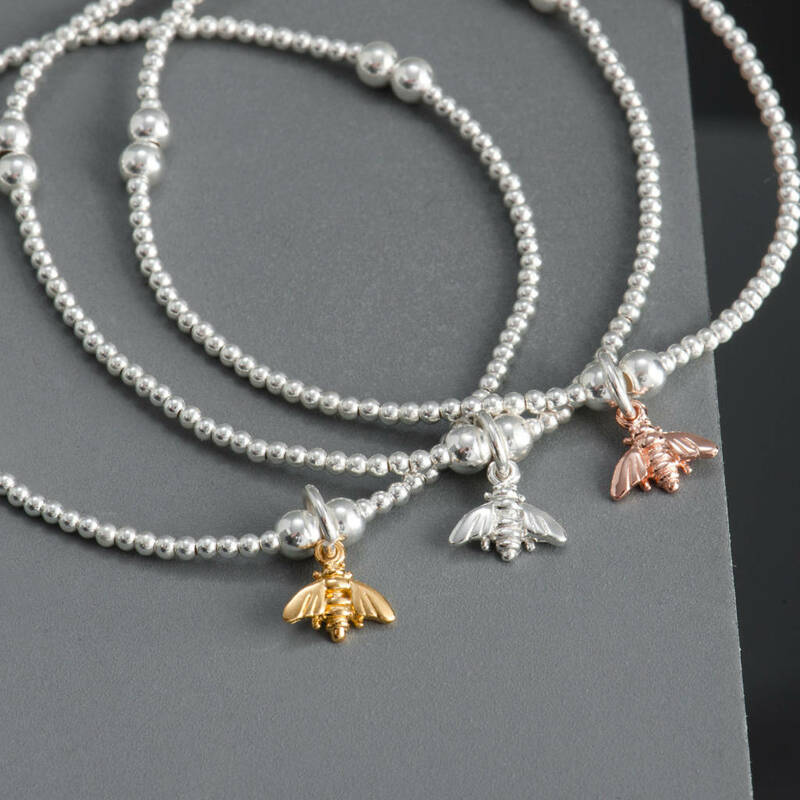 Beautiful nature inspired dainty sterling silver tiny bumble bee beaded bracelet. 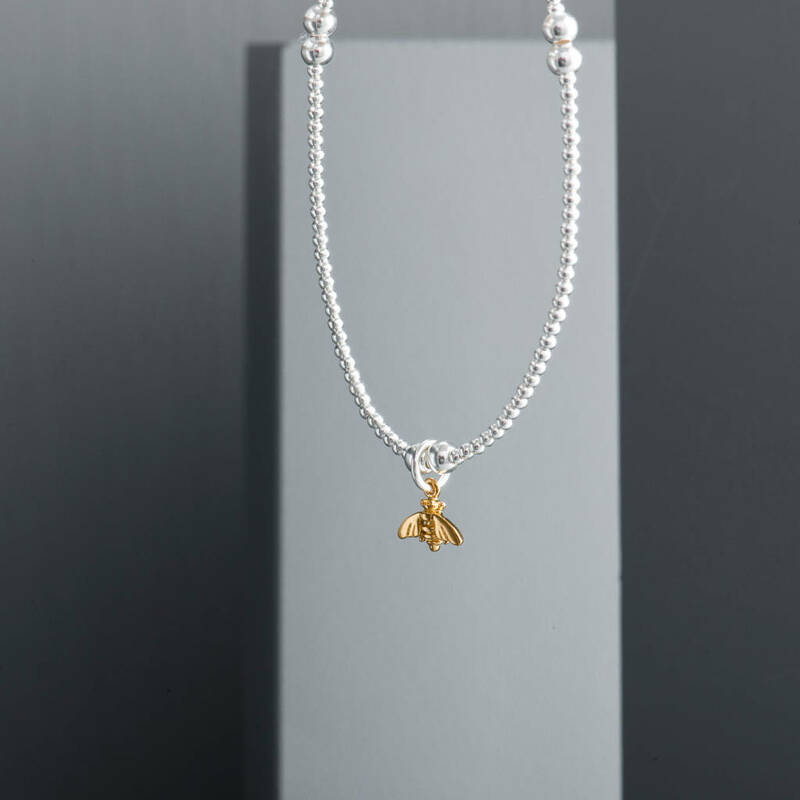 This gorgeous sterling silver tiny bumble bee beaded bracelet is such a delight to wear! 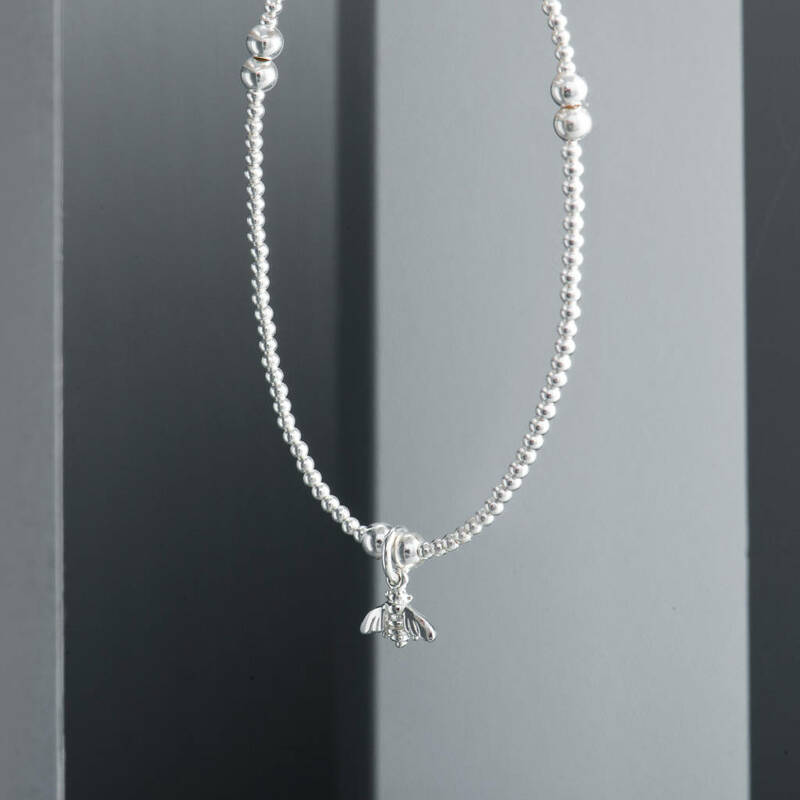 With sterling silver beads and a tiny little Bumble Bee charm sitting in the centre, this bracelet looks stunning on its own as a simple strand but is wonderful stacked in a layered effect with other bracelets. 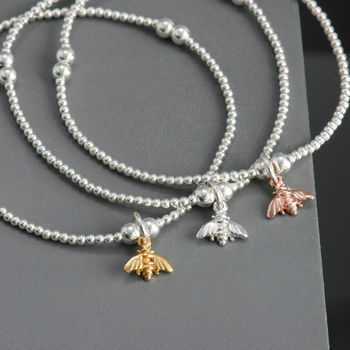 Available in Sterling silver Vermeil Rose Gold or Vermeil Gold bumble bee. 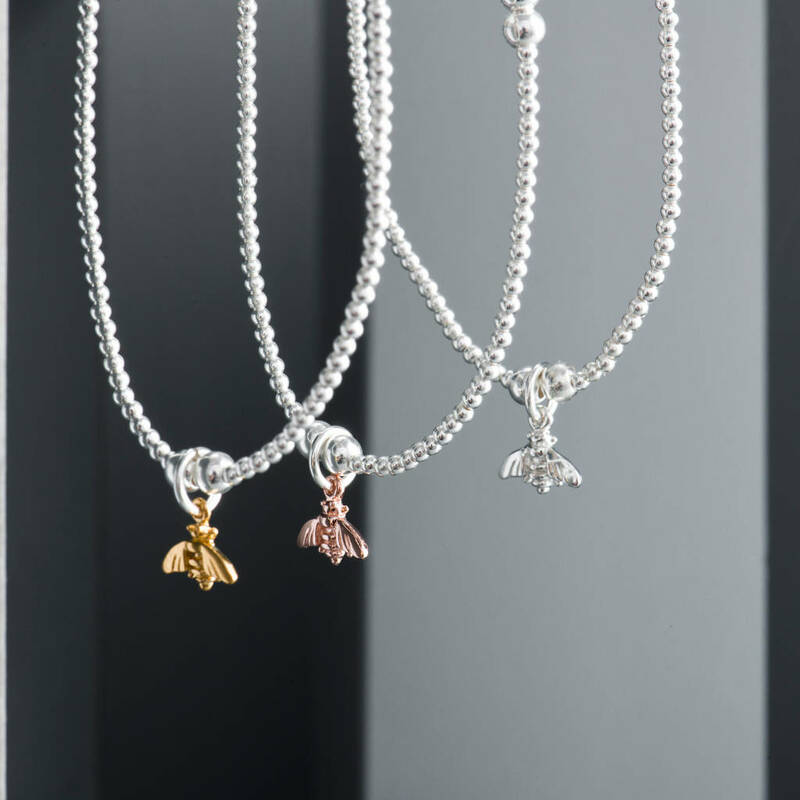 It would make a lovely gift for a mother, sister or friend or you could just keep this one for yourself! 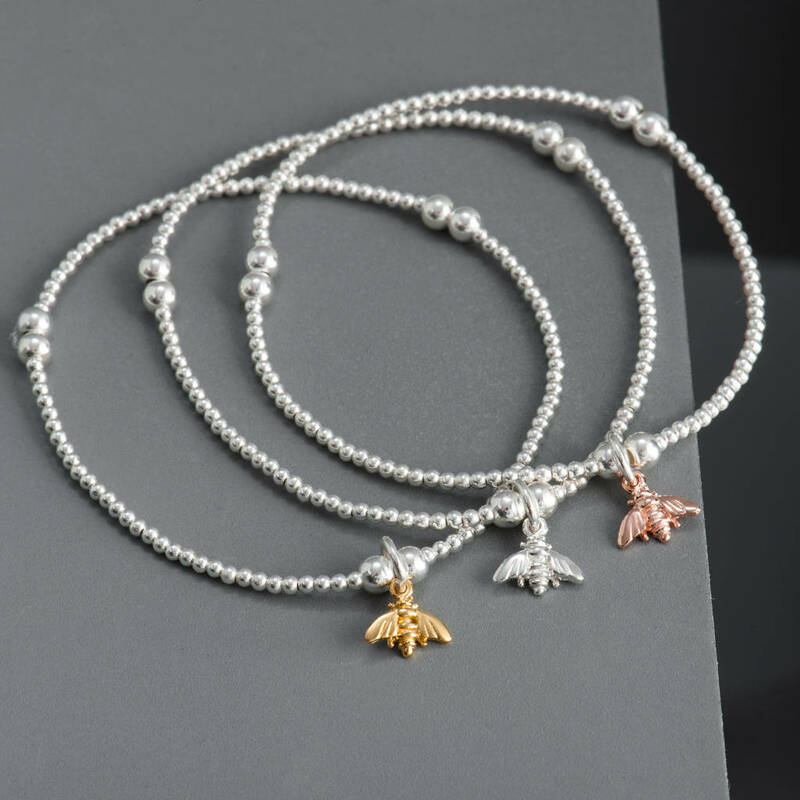 An adorable gift for your bridesmaids or flowergirl. Our timeless and elegant products accentuate your outfit and enhance your look. EVY Designs pieces make fabulous gifts for loved ones or a delightful treat for you! Presented in EVY Designs signature gift packaging perfect for gifts! We are happy to send your order directly to your recipient and include a complimentary gift note for that special touch. Free mainland UK delivery orders are sent via Royal Mail standard services, whilst we make every effort to ensure orders are dispatched in a timely fashion, on rare occasions delivery may be delayed due to factors outside of our control. Please note that ‘on or before’ delivery dates provided for this option are estimated and not guaranteed. Royal Mail Special Delivery(for which there is an additional charge) requires a signature upon delivery. If deliveries cannot be signed for, they are taken back to the depot and need to be picked up in person from the Post Office, or you can arrange for your parcel to be redelivered by contacting the Post Office. Please note that you are responsible for any duties or taxes incurred at your point of entry to your destination.